The BCMC has kindly invited me to present a 105 Hikes slideshow at its June social at the ANZA Club (3 West 8th Avenue) in Vancouver — Musqueam, Squamish, and Tsleil-Waututh territories. The event is open to both members and non-members. RSVP on Facebook. 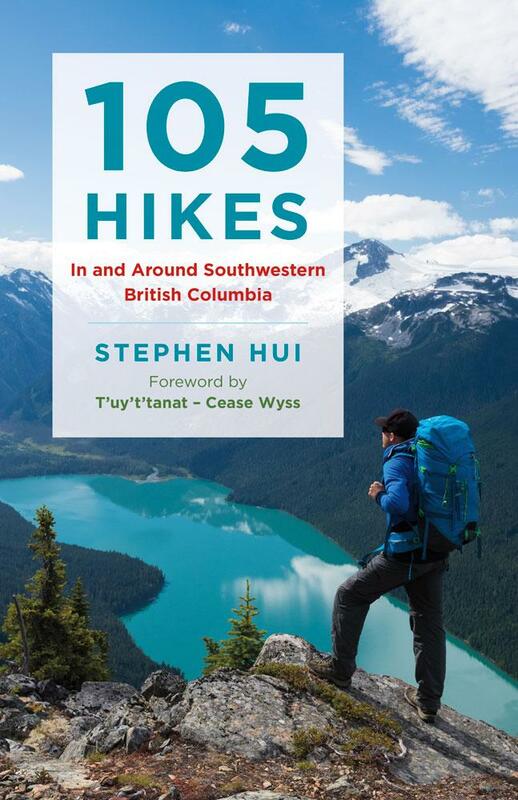 Stephen Hui, author of 105 Hikes In and Around Southwestern British Columbia, will join us for a slideshow presentation and book signing. He’ll introduce his new guidebook (coming out May 26) and show photos from the HBC (1849) Heritage Trail, Sunshine Coast Trail, and other trips. Published by Greystone Books, 105 Hikes is an all-new follow-up to the classic guide 103 Hikes in Southwestern British Columbia. A portion of the proceeds from sales of the book will go to the BCMC. The Social will take place at the Vancouver ANZA Club main floor (corner of 8th Ave and Ontario) on Tuesday, June 12th. The entrance door will open at 7 pm and we will begin the evening at 7:30 PM with an Update from the Executive. Please note: you must be 19+ years old to attend and may be asked to sign-in at the door to ensure we don’t exceed 117 people in the hall. Once at capacity we will be forced to turn attendees away. Feel free to grab a drink at the Bar before the social starts. A few blocks away, Mountain Equipment Co-operative (MEC) will host a 105 Hikes book signing at its Vancouver store (130 West Broadway) on June 2. By the way, if you happen to be attending the 2018 B.C. Library Conference in Richmond, I’ll be doing a pre-launch book signing at the trade show on May 10.